INCREASES NOBILITY, SPIRITUAL AWARENESS, PSYCHIC ABILITIES, INNER PEACE AND HEALING, HEALING OF BODY, MIND AND SOUL, POSITIVE TRANSFORMATION, MEDITATION, BALANCE, RELIEVES STRESS, IMPROVES COMMUNICATION. OPENS, BALANCES AND ACTIVATES THE CHAKRAS, CLEANSES THE AURA, OPENS THE INNER SELF TO THE SPIRITUAL WORLD, DIRECTS LIGHT FOR HEALING AND PROTECTION. CAN BE PLACED BETWEEN THE HEART AND THROAT CHAKRA (BREAST AREA) TO ACTIVATE THE CHAKRAS AND CLEANSE THE AURA DURING SLEEP. "THE LOVE STONE", OPENS THE HEART TO UNCONDITIONAL LOVE, ATTRACTS LOVE, HELPS TO HEAL THE HEART FROM PAIN AND DISAPPOINTMENT, STIMULATES THE HEART CHAKRA, BRINGS COMPASSION AND LOVE IN TO ONE'S LIFE. "MASTER HEALING CRYSTAL", USED FOR HEALING THE EMOTIONAL AND PHYSICAL BODY, STRENGTHENS THE AURA AND BALANCES ENERGY, AMPLIFIES PSYCHIC ABILITIES AND OPENS THE HEART AND MIND TO HIGHER GUIDANCE. "THE POWERFUL PROTECTION STONE", HEALS AND PROTECTS THE PHYSICAL, EMOTIONAL, MENTAL AND SPIRITUAL BODIES, PROTECTS FROM NEGATIVE ENERGY, RELIEVES STRESS & ANXIETY, PROMOTES DETOXIFICATION, POWERFUL GROUNDING STONE, ROOT CHAKRA. 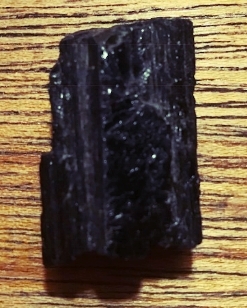 IT IS HIGHLY RECOMMENDED THAT ALL SENSITIVE AND EMPATHIC PEOPLE WEAR A BLACK TOURMALINE STONE ON THEM ON A DAILY BASIS FOR PROTECTION. ANGEL FIGURINES WILL PROTECT ANY SPACE THEY ARE PLACED IN. THEY CAN BE HUNG NEAR A WINDOW IN A NURSERY TO PROTECT LOWER VIBRATIONAL OR DARK ENERGIES FROM ENTERING THE ROOM AND WILL PROTECT THE CHILD. ANGEL STONES CAN BE CARRIED IN YOUR POCKET AS A REMINDER THAT YOU ARE NEVER ALONE AND ARE SURROUNDED BY YOUR GUARDIAN ANGELS AT ALL TIMES. ALSO AS A SYMBOL OF PROTECTION. YOU CAN GIVE AN ANGEL STONE TO SOMEONE WHO HAS LOST A PET OR LOVED ONE AS A REMEMBRANCE STONE. MY HOMEMADE SPRAY IS MADE WITH A BLEND OF PURE, ESSENTIAL OILS IN ORDER TO RAISE THE VIBRATION AROUND YOU. YOU CAN USE THIS SPRAY AS A BODY SPRAY OR AS A ROOM SPRAY FOR YOUR SPACE. THIS SPRAY HELPS TO CLEAR NEGATIVE ENERGY AND HELPS TO ELEVATE YOUR MOOD AND EMOTIONS BACK TO HIGH VIBE. EMOTIONAL AROMATHERAPY CAN BE USED TO CALM EMOTIONS AS WELL AS PROMOTE POSITIVE EMOTIONS AND MORE ENERGY. THESE OILS CAN BE USED AS AROMATHERAPY, USED ON PULSE POINTS, ROLLED ON THE SPINE FOR THE BODY TO ABSORB, ROLLED ON LIKE PERFUME AND PUT ON THE HEART TO HELP CALM HEIGHTENED EMOTIONS. THE "KING OF OILS", KNOWN FOR IT'S INCREDIBLE HEALING PROPERTIES. PROMOTES FEELINGS OF PEACE AND OVERALL WELLNESS. A DROP OF FRANKINCENSE CAN BE PLACED OVER THE HEART FOR PROTECTION AND TO HELP PREVENT ABSORBING OTHER PEOPLE'S FEELINGS AND EMOTIONS. CAN BE USED TO HEAL PHYSICAL WOUNDS, CUTS, ABRASIONS AND BRUISES. PROMOTES CALMNESS, RELAXATION, AND PEACEFUL SLEEP. EASES FEELINGS OF TENSION. A FEW DROPS OF LAVENDER CAN BE PLACED ON THE BOTTOM OF THE FEET FOR THE BODY TO ABSORB TO PROMOTE A DEEPER NIGHTS SLEEP. ALSO CAN BE USED AS AROMATHERAPY TO INHALE FOR RELAXATION. CAN BE USED IN A BATH TO PROMOTE RELAXATION AND TENSION RELIEF. AN INSPIRING BLEND OF ESSENTIAL OILS THAT PROMOTES FEELINGS OF EXCITEMENT, PASSION AND BLISS. THIS OIL CAN BE USED ON THE PULSE POINTS, INHALED FROM THE PALMS FOR AROMATHERAPY OR USED IN PLACE OF PERFUME. CALMS THE SENSES AND PROMOTES A RESTFUL NIGHTS SLEEP. SERENITY OIL BLEND CAN BE USED AS AROMATHERAPY, ON THE PULSE POINTS, OR IN A BATH TO PROMOTE RELAXATION AND SERENITY. THIS OIL IS A BLEND OF LAVENDER, CEDARWOOD, YLANG YLANG, MARJORAM, CHAMOMILE, VETIVER, VANILLA AND HAWAIIAN SANDALWOOD OILS. ALL OF THESE PRODUCTS WILL BE AVAILABLE FOR PURCHASE ON MY SHOP PAGE SOON!